This month is all dedicated to making and hopefully finishing cider pressing. Cider went well albeit the apples were a bit smaller but surprisingly there was certainly plenty of them! 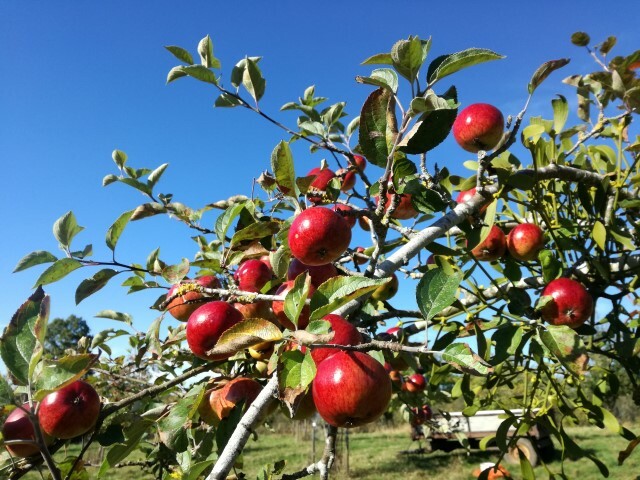 Apple picking on the farm and pressing time! Our own trees this year produced a good crop of apples this year and I managed to find time to collect them before the tide of pheasants arrive.. 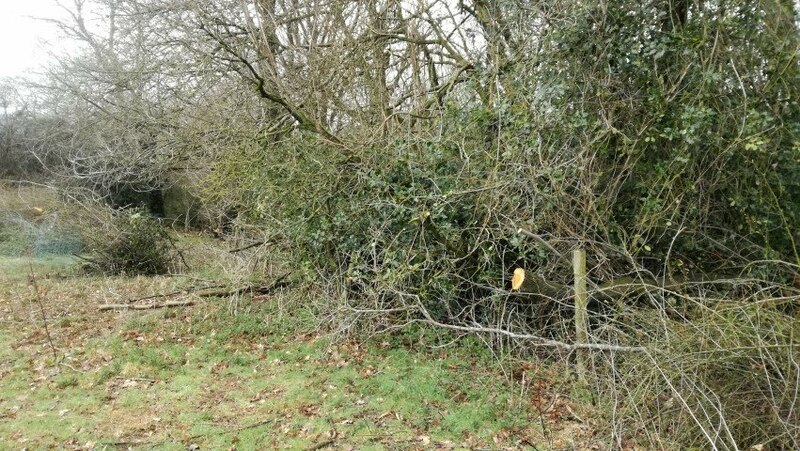 The influx of Pheasants is always a real pain to be honest as our neighbours rear them and then release them in early Autumn. This is the time that the apples start to drop and inevitably any apples on the ground will get pecked and damaged by the Pheasants . 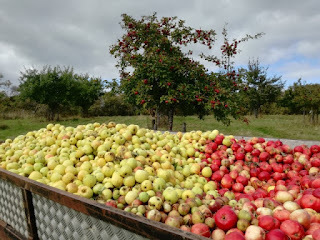 Despite many of our varieties being cider apples which make them bitter, sharp and unpleasant to actually eat the apple but once damaged it cannot be used. Picking apples by hand is quite a time consuming job but when the weather is good I really enjoy it. It is always to nice to look at a trailer and see what you have achieved by hand picking the old fashioned way! We probably now have only about 30 trees left now of which the vast majority have been planted by us over the 20 years or so years. 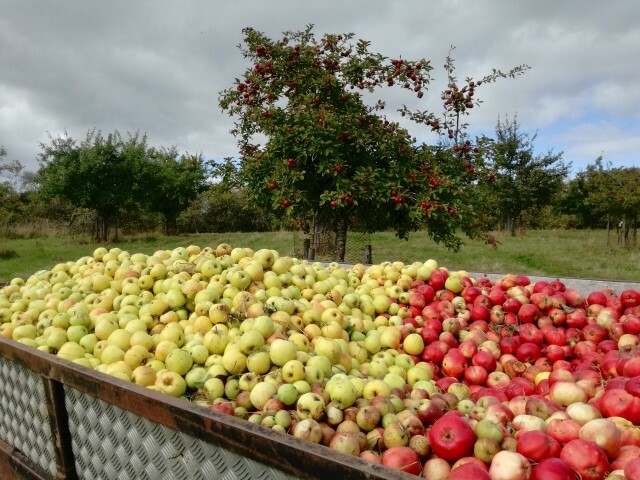 Not all of them always produce apples in large amounts but we specifically chose the older and more interesting varieties so quality of the juice makes up for the lack of quantity. As the weather once again was brilliant during the Autumn it also enabled me to do other little jobs that I have been wanting to do but not had the time. This included some gateposts that had gone rotten so the gates were awkward to use. 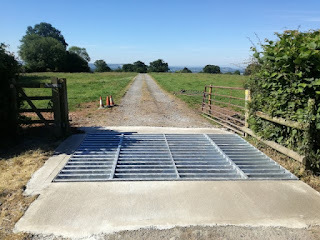 Gates that do not work properly are always irritating when you are trying to get on with doing day to day work on the farm. I also had a spring clean in the Orchards which I had been putting off. 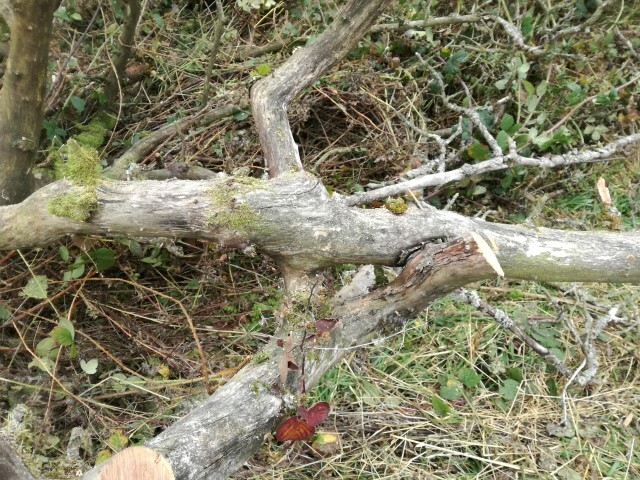 Not for the reason necessarily of not having the time but I have been purposely leaving some of the old dead apple trees where they had fallen. It does sound a bit silly but these old girls were the ones that helped us start up our little cider business coming up to 20 years ago! Old apple wood can also be really attractive and can look like driftwood. Old apple trees as with anything that is decaying in nature has almost just as an important part to play for insects and bugs. 'Invertebrate Communities Of Old Traditional Orchards In South Shropshire'. 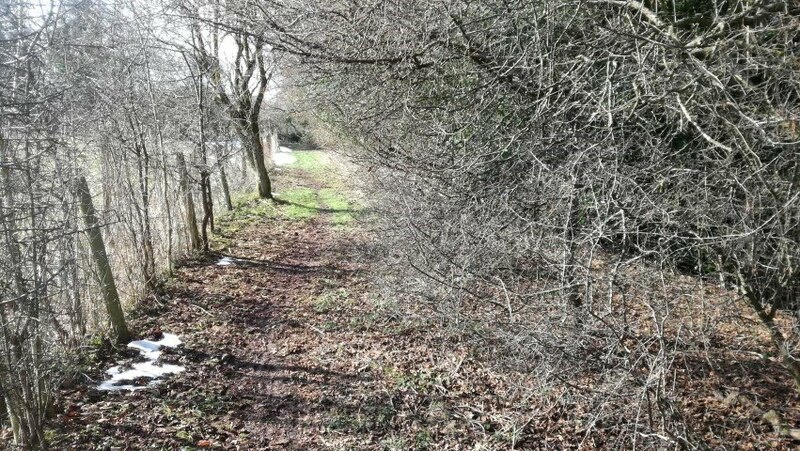 This in depth survey had been undertaken over several years and it included several visits to our 2 old orchards. Interestingly on the first visit the researchers found an invertebrate which had never been identified in South Shropshire and is also relatively rare. This beetle had been found in an old apple tree stump that was about 4ft high. Of course I found this interesting and obviously I was reluctant to remove the dead wood that was starting to accumulate in the orchards. However I knew that over the years the standing old dead trees had been blown over and now on the ground. Briar's and weeds quickly grow up and hinder mowing. Nettles hide wood that I can clip with my mower so an ever increasing circle of weeds grow around in each tree. 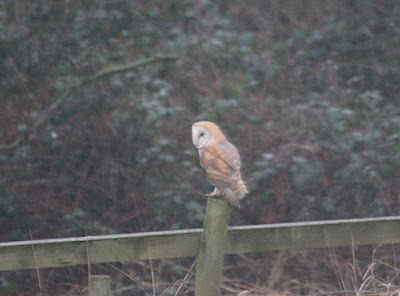 As a result of this the orchards were starting to look unkempt. The survey revisited the site on one of their last visits and unfortunately the stump had fallen and no further evidence of the beetle was found. 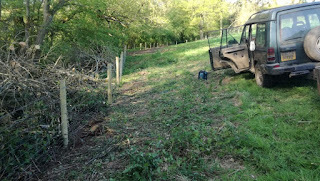 So the decision was made to tidy up the orchards but not sanitised and some of the larger trunks will remain around the edge. This at least provides an opportunity for some species to make use of it! Damson picking time is a late summer activity and one of my favourite pastimes during the year. This year was ok but we have had better seasons and also worse ones! It can be short season and it can be a bit of a race to get them all. Really time consuming but of course it is all worth it as the damson juice is used for making our yummy damson cider! Ludlow Food and drink festival is our main event during September. This year was pretty good and as always we really enjoy doing it. Before the show we always have a glance at the programme and we are always surprised at how many other cider stands there are at the show! I always think it is somewhat disproportionate but we still do really well and it is still well worth going. It is a great show and I do enjoy meeting up with old and new friends. The second half of September is then trying to prepare for cidermaking.and also set the farm a little for the end of the year. This includes a last mow in some of the areas to clear the vegetation to facilitate rotting over the winter and to provide a fresh regrowth for next spring. 2 wedding reception parties in the barn for this month and they both went very well. Both quite contrasting. 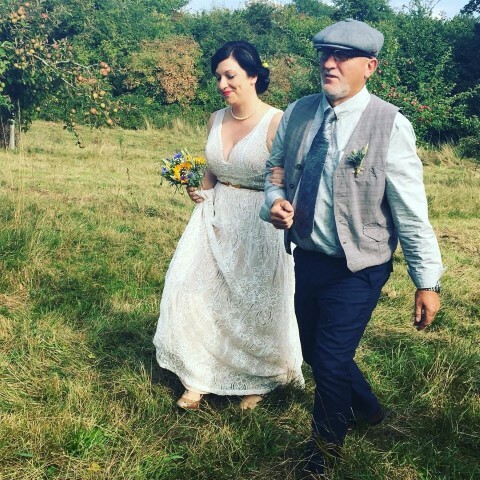 The first one involved a ceremony in the barn as well as a band in the evening. The second one the couple decided to have their handfasting ceremony in the orchard. Finally we have managed to replace the cattlegrid on the drive. This has been a bug bear for the last few years as it had developed several serious problems. 1 - It was starting to bend and collapse. 2 - The cattle in the last few years seemed to have got marginally more intelligent than normal and had worked out how to step through the bars and walk through it into the top field! This was obviously a problem and of course when one cow works out how to get through the others will try and follow. 3 - Also unbelievably I also had seen 2 cows actually jump across it! SO we started again and made the grid wider, deeper and stronger. It also includes a drain so it does not fill with water. It is perhaps over engineered and it was quite a major expense for the farm however I am so pleased with the end result which will of course last for many many years. 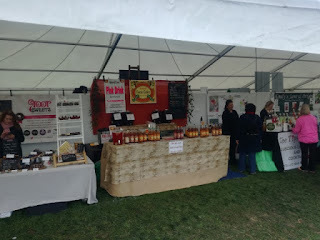 Shrewsbury Food and drink festival is the main event for this month which is a 3 day event. It is our second biggest event so it requires a lot of planning. This was a great success and the weather was fantastic. June is also Elderflower picking month. This can be a short season so we have to be prepared and ready when the flowers come out. This of course is for our very special Elderflower flavoured cider. This was fencing month and clearing up brash from the hedge projects I had been doing. 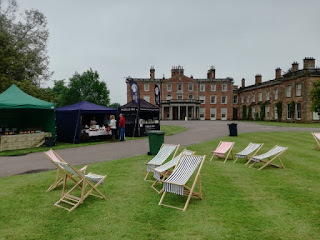 We also did a new show at Weston Park in May which was great fun. It was all part of the Great British Food Festival and apart for getting drenched after the heavens opened right at the end while packing up it went very well indeed! When the snow had finally melted I was outside and getting on with things quicker than a greyhound out of a trap! I also was looking forward to getting my fitness back after being 'off work' for so long . 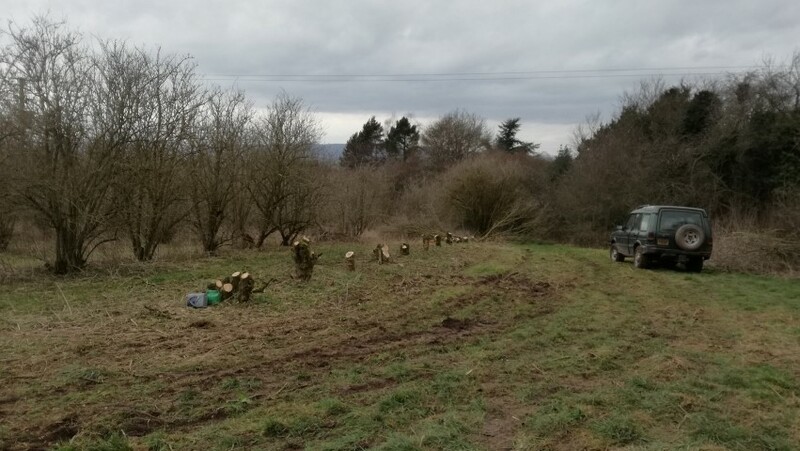 One benefit of having a late cold snap is that Spring is pushed back which luckily allowed me to get on with winter jobs on the farm and particularly coppicing work. 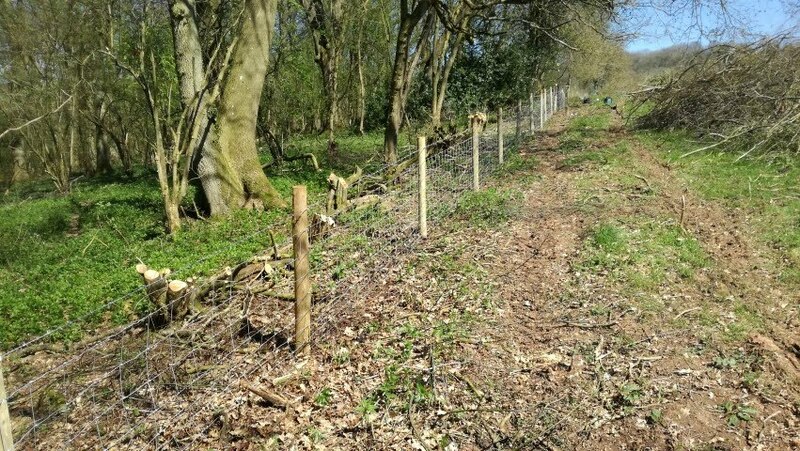 Fencing needed to be replaced where undergrowth, branches and also fallen trees had meant there was no option other than start again from scratch.This involved coppicing, cutting back branches and then replacing the fence. 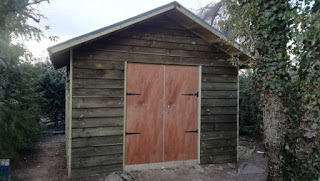 I managed to get on with 4 projects. Next project (yes I have been busy) was to coppice a line of trees in one of the Elder orchards. This is to encourage strong regrowth and the increased production of flowers for us. 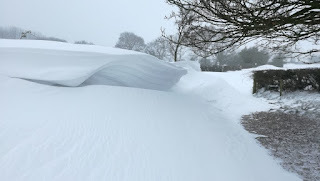 The Beast form the East arrived in early March and we were hit with some quite remarkable weather. When the snow finally went and temperatures slowly recovered we unfortunately then had to deal with several burst pipes in the farm buildings. 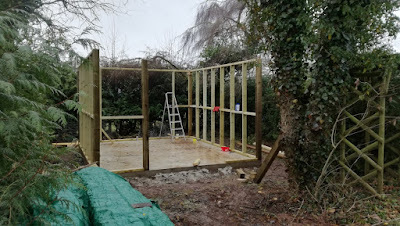 At the start of February the ladder I was on while building the shed slipped down a couple of feet and then the top of the ladder dug in to my chest and bust a rib.... This was annoying to say the least. 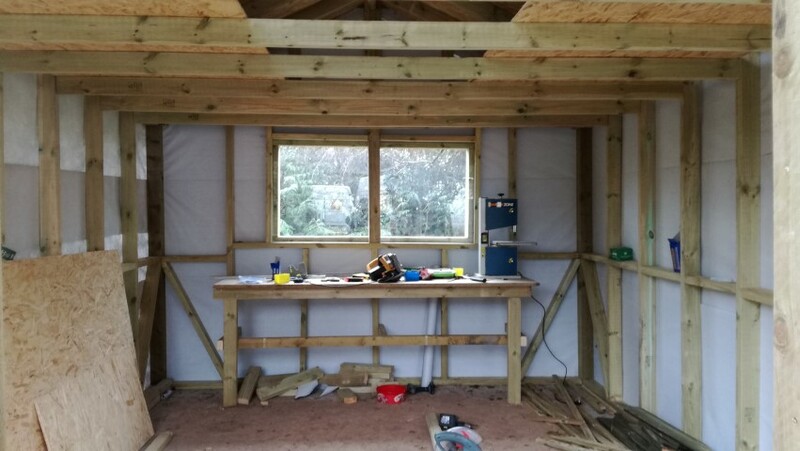 So work continues on the shed albeit slightly slower than planned. 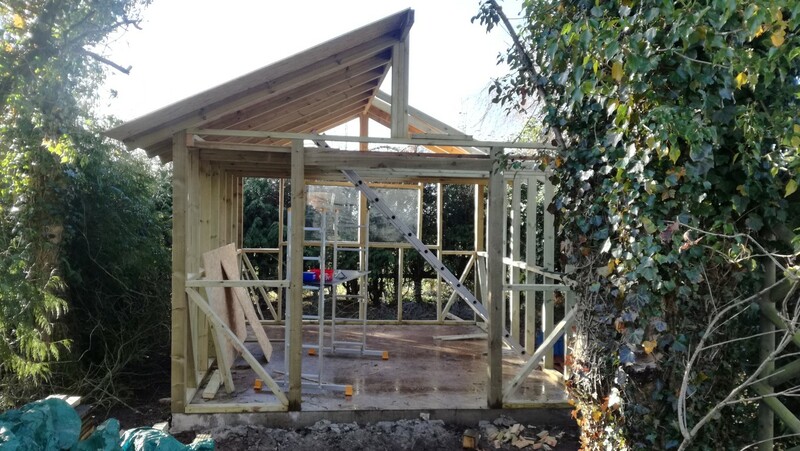 Then towards the middle of February I was not only feeling better regarding my ribs but I was very nearly there on the shed and just needed to do felt the roof. This is always an awkward job but I needed to carry on. It involved a lot of stretching and reaching to get all the felt straight and nailed in properly. I certainly felt as if I had been on a workout that night but the job had been completed and I was very pleased with the result! The next day I felt awful and could not move properly at all which was over and above what I had ever experienced... But I thought 'give it a couple of days' and it will sort itself out. 4 days later I was in agony and could not even put my socks on in the morning and I eventually went to the doctor who informed me I had developed Sciatica.... and take these pills to help. The pills certainly did help but light duties were in order for several weeks. The start of 2018 was hard work to say the least. It started off on January 2nd with the flu which was tedious and it laid me up for over a week. I was also suffering from a nagging back pain which of course I was hoping that it was going to get better on its own. The after effects of the flu was of course a cough which did not help the back situation. The weather was cold and quite wet but in amongst a sprinkling of retreating back to the man cave (my other shed in the garden) and doing some office work, the shed situation progressed well. 26th January 2018 - 2 days into the build.